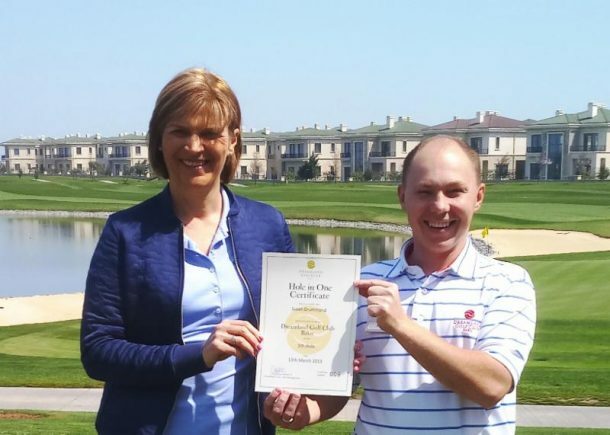 Well done to lady member Susan Drummond on adding her name to our “Hole in One” honors board with a perfect shot at the 5th hole. The purely struck 7 iron was played from the gold tees and is our first Hole in One of 2019. Anton Samsonov Golf Operations Manager pictured here awarding certificate 009 to Susan. previous News Greenkeepers' Revenge 2019 Next News Estonian group- “Golf Life Travel”!